By using the categories you can facilitate the product filtering in your Soldigo store. Add as many categories as you like. To add a new category, fill in the form on the left. If you want to modify a category simply click the pencil icon. To delete a category click the trash icon. 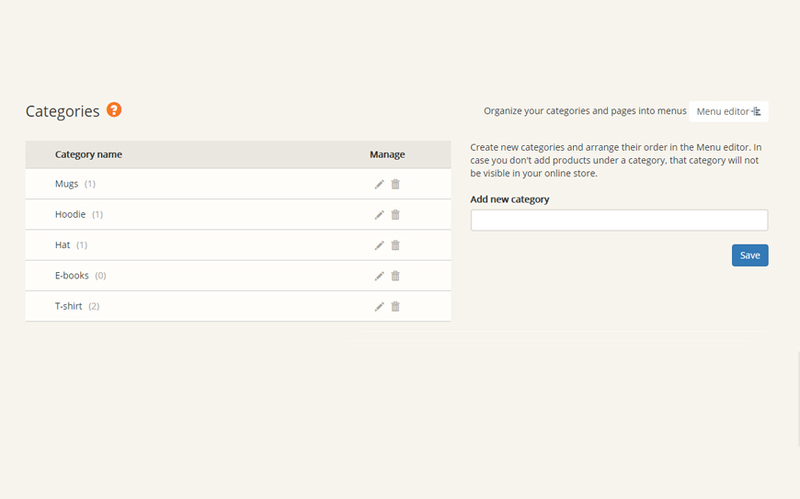 To rearrange the order and the place of your categories use the Menu Editor.